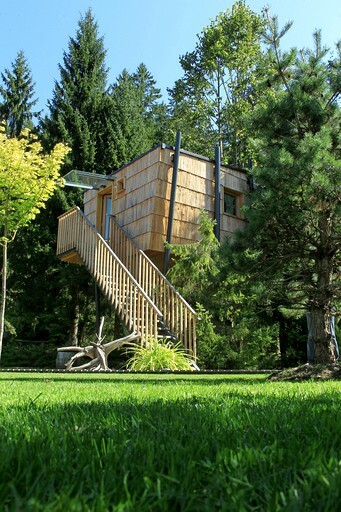 This tree house rental near Ljubljana, Slovenia can accommodate two guests. 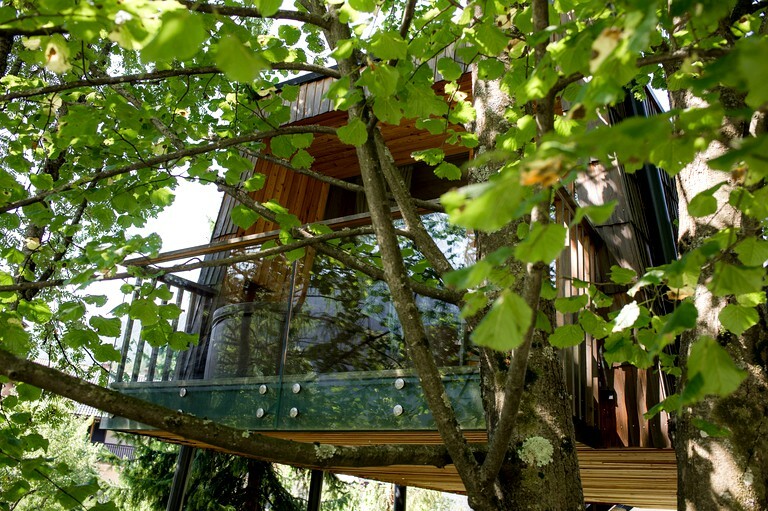 The heart-shaped leaves of the Liden tree are not the only feature which makes this accommodation an ideal couples retreat. 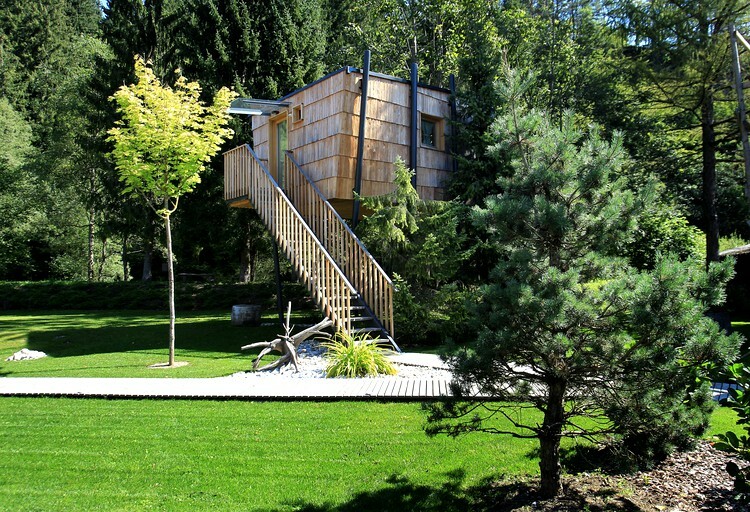 The tree house is furnished with its very own terrace complete with a private massage pool. From this terrace, guests can enjoy captivating views of the Savinja River. 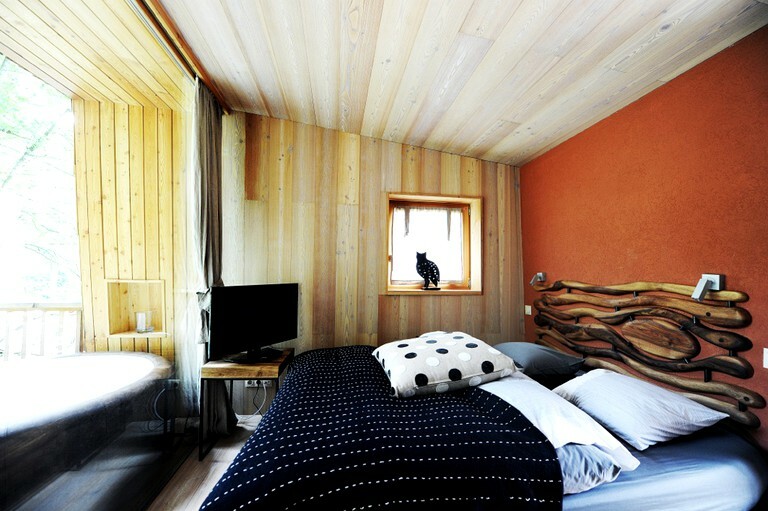 The interior is crafted out of walnut wood, which endows this property with warmth and rustic charm. 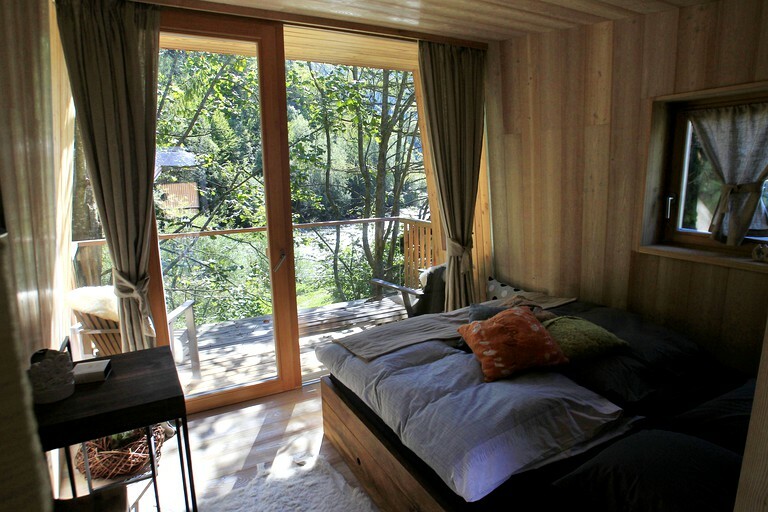 The hosts are committed to their vision of creating a glamping accommodation which is modern and architecturally innovative but also furnished with authentic and traditional charm. Guests can enjoy a truly exceptional culinary experience at this accommodation. The kitchen staff are dedicated to serving the finest traditional Slovenian cuisine, using recipes which have been handed down from generation to generation. Dishes are served with imagination and style, drawing from the best local ingredients. The chefs combine culinary expertise and originality with their passion for tradition. 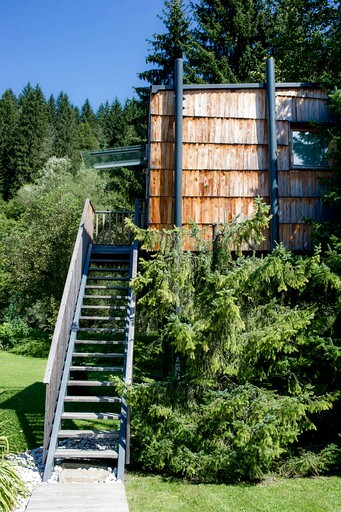 Although the village of Luče is remote and secluded, this accommodation offers all the luxuries of modern life. There is free Wi-Fi throughout the premises, and rooms are equipped with LDC TV. Breakfast is provided in the lodge for an additional charge of $22.50 per head. Dinner is offered every evening, and prices are listed on the daily menu. Additional baby beds can be provided in all of the accommodations for $40.50 per night. As well as offering a retreat from the hustle and bustle of daily life, guests at this glamping site can enjoy a range of activities. The area is renowned for its hiking, and the hosts can arrange daily walking tours to suit all abilities. In the winter-time, the region offers cross-country skiing, and there is a small skiing resort in both the village of Luče and in neighboring Golte. In the summer months, the alpine Savinja River and its adjoining brooks and streams offer excellent fishing opportunities. Fishing passes can be purchased from the office of the lodge. Guided tours can also be arranged to explore the nearby snow caves rich in stalactites.